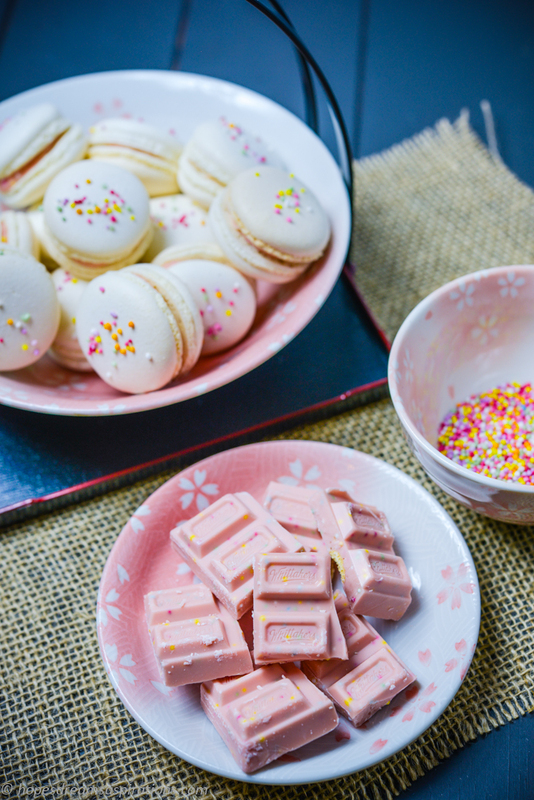 OH what fun when Whittakers released the 100s and 1000s pink coloured white chocolate slabs! 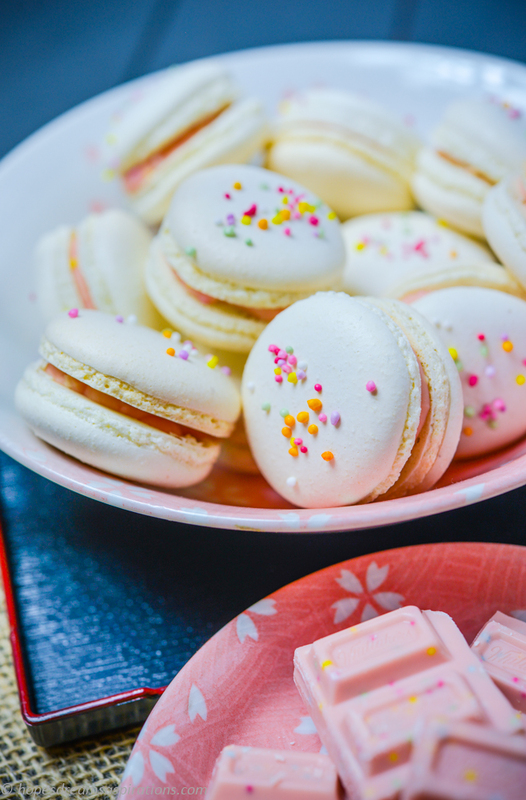 I did a 100s and 1000s macaron before with a salted caramel filling and now there is an even easier way. 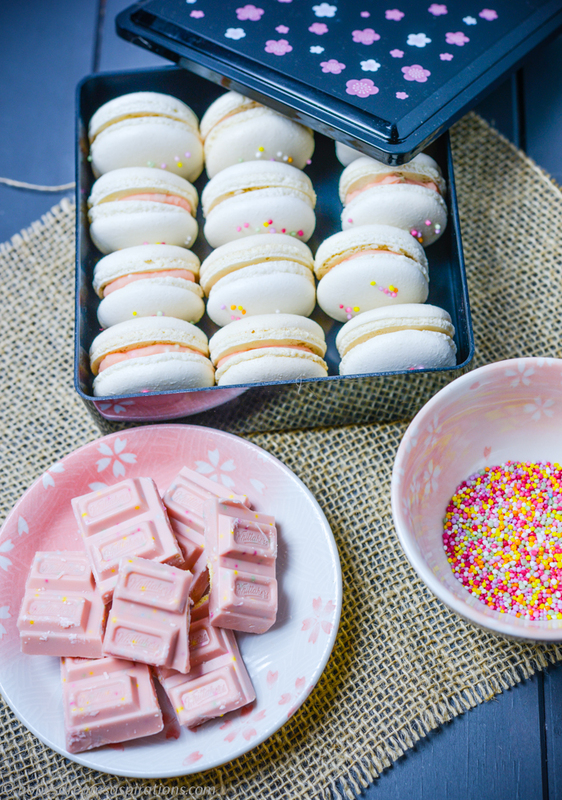 All you do is make your shells, then make the ganache with the chocolate slab and voilà, you have colourful and whimsical 100s and 1000s macarons. If you wish, you can sprinkle 100s and 1000s onto the shells while they are drying. I paired these with a 100s and 1000s chocolate ganache. Break up chocolate into small chunks. Bring cream up to a boil in a pan, and pour over the chocolate. Let it sit for a minute before stirring. Stir and let it cool and thicken in the fridge. 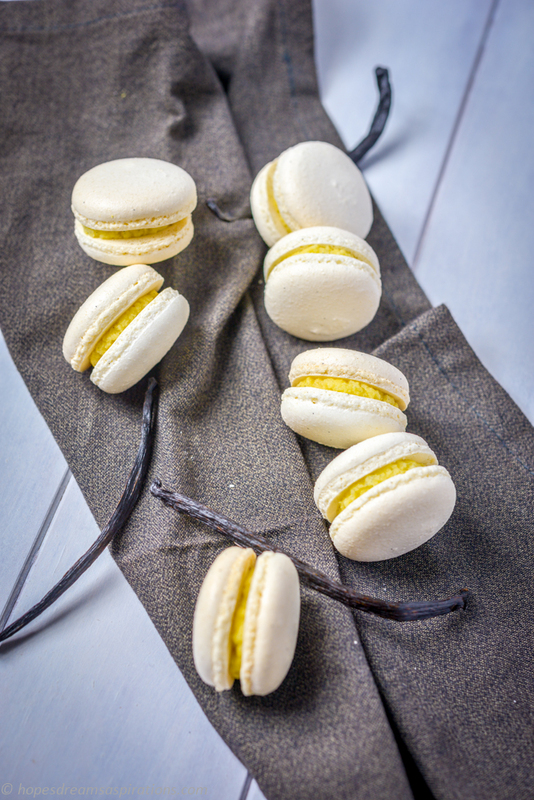 I have been making all sorts of crazy flavours lately and my colleague requested her favourite flavour – vanilla. A good vanilla dessert calls for good quality vanilla bean, not any of the imitation stuff. 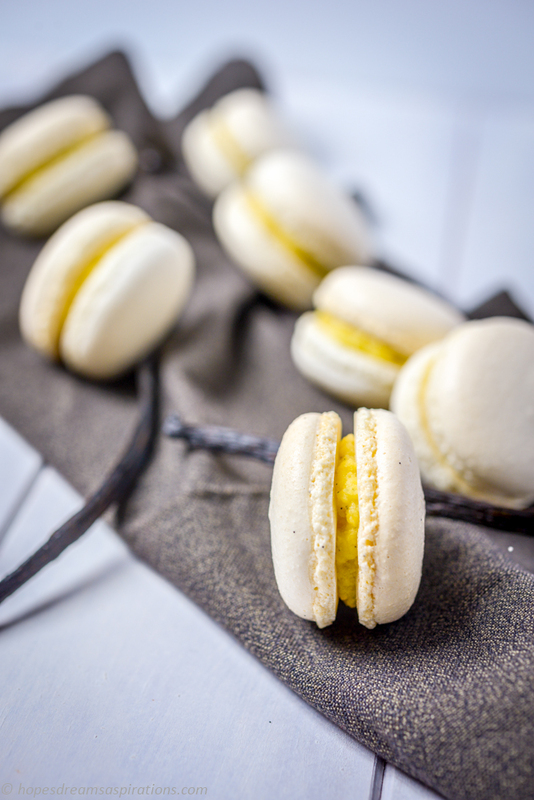 I’ve used seeds from vanilla bean to flavour the shells and then a Heilala vanilla paste to flavour the buttercream. 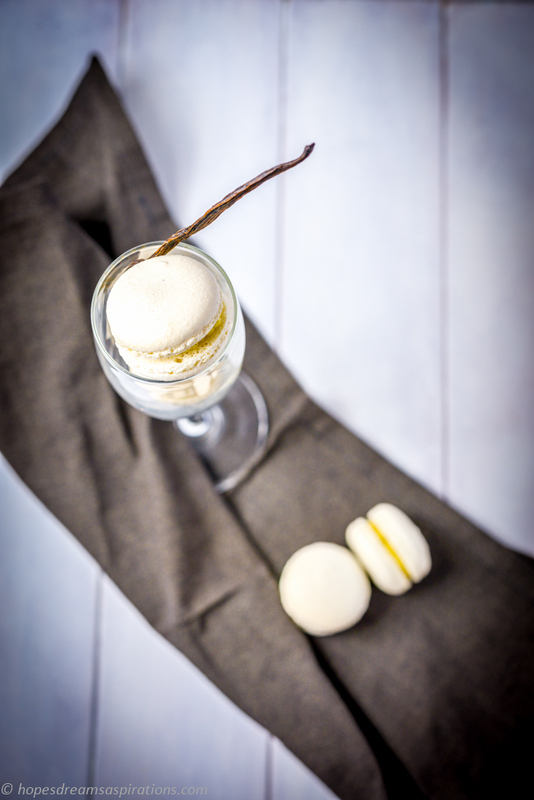 The result was a gorgeously balanced vanilla flavour that reminds me of vanilla milkshakes. Sometimes the simplest is the best! 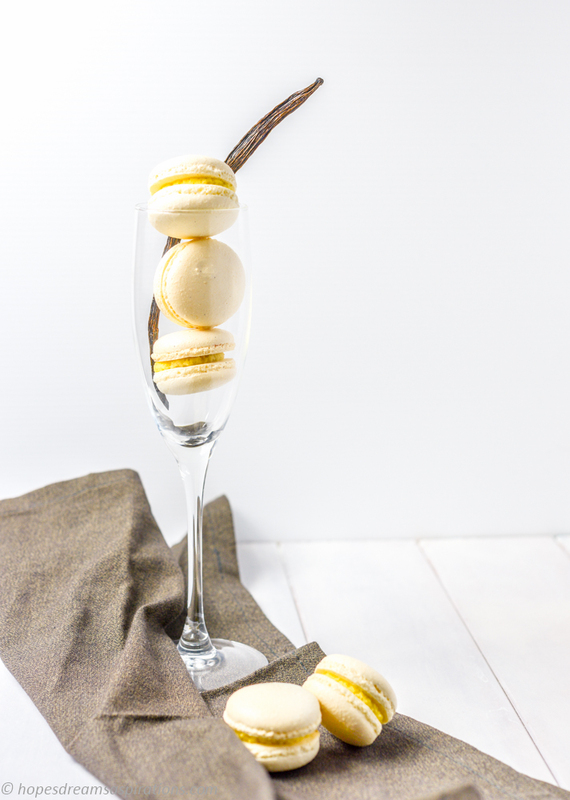 I paired these with a Vanilla Bean buttercream. Beat butter until soft in a mixer. Add icing sugar and mix well. Add vanilla bean paste and mix. Fill a piping bag and pipe a small dollop of buttercream on half of your shells and top them with the remaining half of your shells. 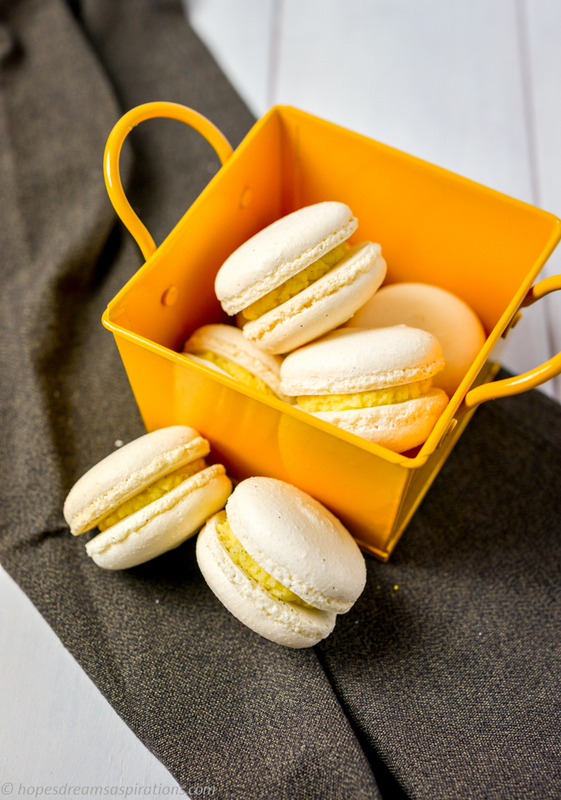 The filled macarons need to be kept in the fridge for 24 hours for the filling to flavour the shells.